One of the main reasons exercising can lead to initial weight gain is that it promotes the growth of muscle. If you see that you’re losing inches, then you know you’re on the right track. While it may be frustrating and disappointing to see the scale go up after starting an exercise routine, it shouldn’t stop you from exercising. You may just be building muscle faster than losing body fat. This can be especially true if you’re genetically prone to building muscle fast. The key is to incorporate bouts of cardio exercise in addition to strength training. That way you will burn plenty of calories during your routine and be more able to shed pounds. When you work out and burn calories, your body will feel the need to replace those burned calories. You may also end up eating more calories and justifying their consumption since you’re exercising. After a good workout, you may see an ice cream sundae as a reward for the calories you burned. Just be careful. 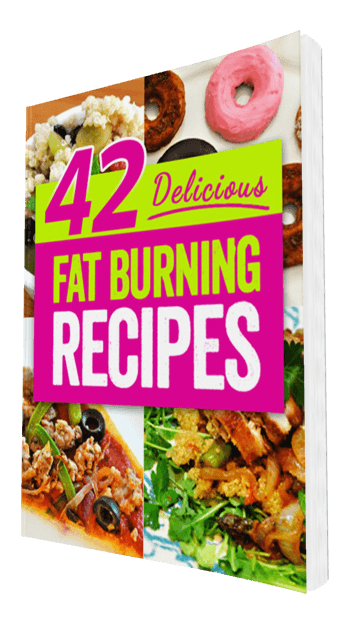 If you’re interested in losing pounds, you can’t simply break even with your caloric intake and the amount of calories you burn. Depending on the time of day you weigh yourself, the scale may read differently. Your weight can fluctuate as much as five pounds depending on the amount of water or food you have recently consumed or the amount of water you have shed in sweat. It is therefore important to weigh yourself at the same time each day. Whatever the cause of your weight influx after exercising, don’t give up! Not only is exercise the key to slimming down, but it is also vital for overall health and well-being. Give your body time to respond to a new routine. It can take several weeks for your body to “recalibrate” itself to increased activity and changes in eating habits. But once it does, you’ll begin seeing the results that you seek! Pizza cravings have derailed many well-intentioned dieters, so it’s essential to have a solution that doesn’t leave you filled with regret and excessive calories. 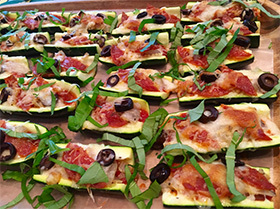 This recipe for Zucchini Pizza Boats delivers all that you love about pizza – the flavors of basil, marinara, pepperoni and cheese – and swaps out the calorie-laden crust for guilt-free and fiber filled zucchini. Enjoy as a meal, an appetizer or as a snack. 2. Wash the zucchini and slice in half lengthwise. Scoop out some of the zucchini flesh to make little boats. I used a knife to slice down the sides and then a spoon to scoop it out. If the zucchini is soft then you won’t need to use a knife. Arrange the zucchini in the prepared pan. 3. Spoon some spaghetti sauce in each zucchini boat and then top with mozzarella, olives, basil and pepperoni. Bake for 20 minutes or until the toppings are cooked and the zucchini are soft. Enjoy!